Home > News > Award Winners! 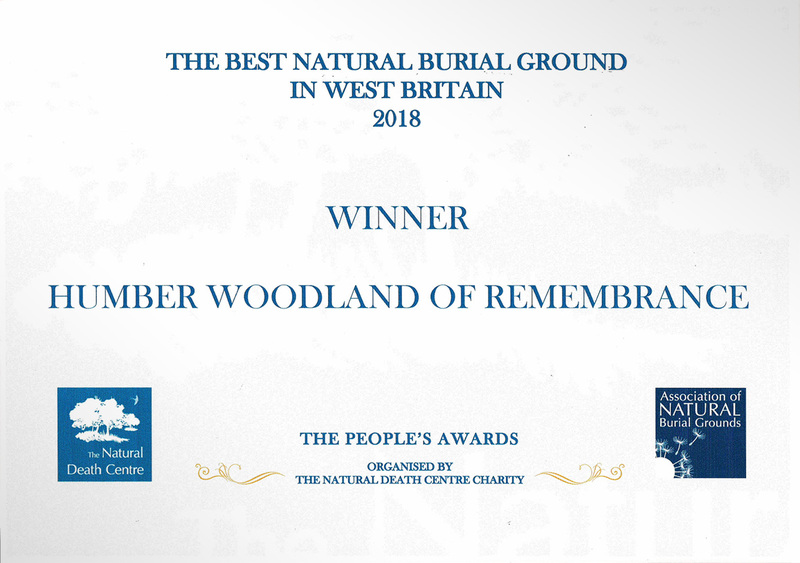 We are absolutely over the moon to have been awarded The Best Natural Burial Ground in West Britain 2018 by the Association of Natural Burial Grounds. Humber Woodland has been has been recognised for its compassionate and personable approach. Families also commented that Diane’s approach radiated ‘warmth and support’, saying that ‘nothing was too much trouble’. Families felt that Diane offered a service that was ‘above expectation’. This award is particularly special to us as it has been awarded based on feedback from families that have their loved ones buried at Humber Woodland of Remembrance. We thank everyone for their lovely feedback and letters.